One day last week, I went out for lunch with O.B. and Boom Boom. One of us decided to try Zeke’s. I think it was me. The food was pretty much what you’d expect: burgers, quesadillas, pasta, wraps, wings and bottled beer. The food was great, the soup was hot, the salad fresh, the wedge of dill pickle, crisp and tart. 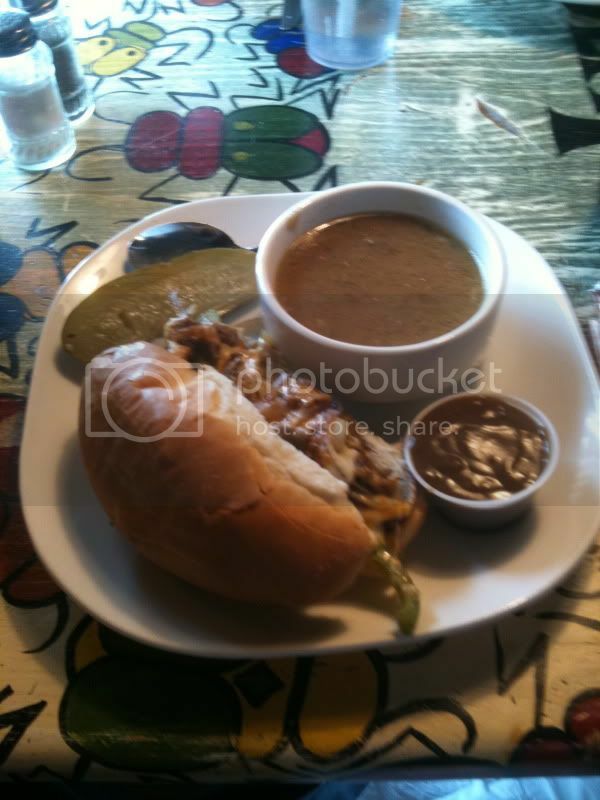 I had the Philly Cheese Steak, which for some strange reason arrived with a little plastic cup of gravy. The atmosphere was very roadhouse/tavern-like with heavy wooded furniture. As a general rule, if a place has booths, it can’t be half bad. It was a weekday lunch and the restaurant was quiet, but the service was slow and our waitress (food service person) resisted engaging in our random and uniquely obtuse and totally unnecessary and frivolous conversation. It was all business with her. Glum service is OK, cold days in January are very depressing. But, slow service at lunchtime is not good. There are only so many hours of sunlight in a day, eh? At the end of our meal, we waited more than fifteen minutes for our bill. It was either the food or our jocularity with our food service person that turned us into three invisible men and her into a flickering aberration, mostly out of sight and earshot. We tried like distressed motorists on the edge of the 401 to flag her down, but sadly we had ceased to exist. 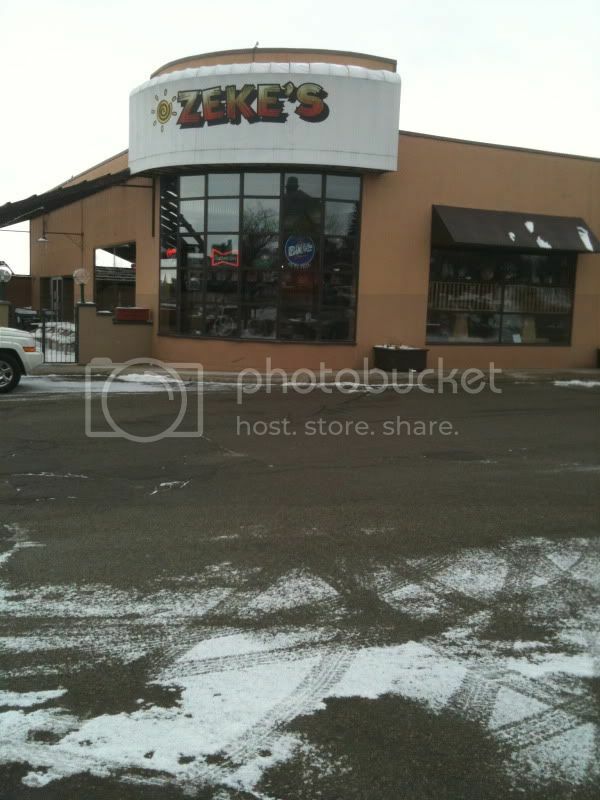 According to their website, Zekes is a full service family restaurant located in downtown Kitchener. With 7000 square feet, the restaurant serves a wide range of customers from the business person lunch to the full-on family entertainment dining experience at night. Where: 607 King Street West, Kitchener.